A lot of photographers when they first start out aren’t quite sure where Lightroom fits into things. It’s an image editor… but it’s not as good as Photoshop? Adobe Lightroom can be difficult to understand until you realize that it’s meant to be the central hub for all your digital photographs. Most importantly, it’s a catalog of every image you take but it’s also an awesome RAW processor and a powerful export tool. Let’s take a deeper look at what Lightroom is for. 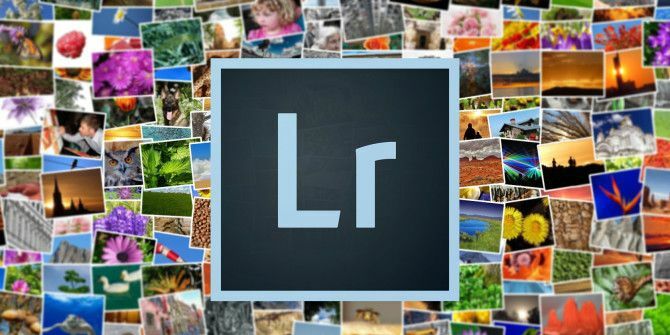 Adobe Lightroom, first and foremost, is a catalog app. It’s easy as a digital photographer to shoot a few hundred images in just a few hours. Over the course of weeks, months, or years you could easily rack up tens of thousands of shots. My main Lightroom Catalogue has more than 20,000 pictures in it and I’m a pretty selective shooter. If I was more trigger happy, it could be five times that. Keeping track of all these photos can be a logistical nightmare. The file system on your computer just isn’t meant to handle that number of photos. This is where Lightroom comes in. It’s designed to sort and organize complex media files. When you import photos from your camera, the first thing to do is go through and pull out all the good shots. Lightroom gives you the tools to do this. With keyboard shortcuts, you can quickly cull the bad photos so you’re just left with the keepers. There are two ways to do this. The first is using Flags, the second is using Ratings. Flags are just a binary; a picture is a Pick or it’s Rejected. Ratings are a little more nuanced; you can rate a photo anywhere between One and Five stars. When I’m sorting photos, I like to rate my “maybes” as one star. I then go back through and upgrade any definite picks to two stars. Finally, any photo I edit properly gets given four stars. Shots I want in my portfolio get the extra special fifth star. Every photo you take also contains heaps of metadata; everything from where and when you took it to what camera settings you used. In the regular file system, this is all hidden. If you dig deep enough you can find it but with Lightroom, it’s right at the front of things. If you want to find every photo you took between a set of dates or with a shutter speed of 1/50th of a second, you can. You can also add your own metadata to photos in the form of tags. For example, you can add “Landscape” or “Portrait” to any relevant picture. 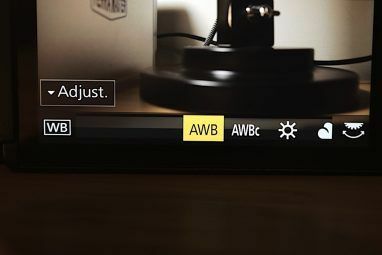 That way you can filter by that tag in Lightroom and just see all your landscape or portrait shots. Tags are a great way to keep a huge Lightroom library manageable. As I’ve mentioned before, it’s important to shoot RAW RAW Files: Why You Should Be Using Them for Your Photos RAW Files: Why You Should Be Using Them for Your Photos Almost every article featuring advice for people just learning photography stresses one thing: shoot RAW images. Here's why that's good advice. Read More . It gives you so much more flexibility with how you edit your shots. RAW files can’t be handled by every app. Lightroom, though, is one of the best. With Lightroom you have all the tools you need to manipulate the data in your RAW files. In the Develop module you can play with exposure, contrast, color, lens correction and even local adjustments. It’s not as powerful at pixel pushing as Photoshop, but everything you do here is entirely non-destructive What Can Photoshop Do That GIMP Can't? What Can Photoshop Do That GIMP Can't? GIMP can do a lot of what Photoshop can do, but there are some areas it falls short. Here is a summary of the key differences. Read More . Although you can fully edit your RAW files in Lightroom, one of the best options is to use its tools to bring out as much detail as possible in your files. You want to create a flat exposure that you can then edit in another app How to Get Started with Google's Free Nik Plugins for Photography How to Get Started with Google's Free Nik Plugins for Photography Google made its Nik Collection plug-ins completely free. The plugins work with photo editing software, such as Adobe Photoshop and Lightroom. Here's how to get started. Read More . 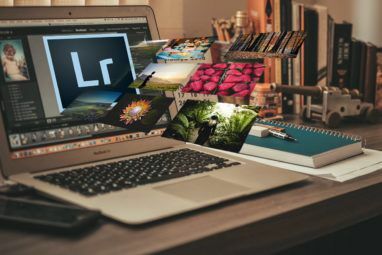 This combines the best of both worlds: you get Lightroom’s RAW handling along with Photoshop’s powerful features What Can You Actually Do With Adobe Photoshop? What Can You Actually Do With Adobe Photoshop? Photoshop can now do a lot more than just edit photos; some of the tools from programs like Illustrator have made their way into the software and vice versa. Read More . One of Lightroom’s most useful features is that you can edit more than one photo at once. If you shoot 50 photos in the same situation and you know you need to brighten them all up, add some contrast and tweak the color a little bit, you can do it once and then sync the settings across all the photos in the group. This saves you a massive amount of time when you’re processing photos from events where you might need to give a few hundred images to the client. There’s no point leaving all your images sitting collecting digital dust on your hard drive. You need to get them out into the world. Lightroom’s powerful export features are there to do it. When exporting images, you have a few options. The simplest way is to save your files out as JPGs so you can upload them anywhere you want yourself. With Lightroom’s tools, you can export images at any resolution and quality you want. Full resolution TIFF files for a designer you’re working with? Check. 1200 pixel low-quality copies for Facebook? Of course. If you invest the time, however, Lightroom can integrate with dozens of different services. 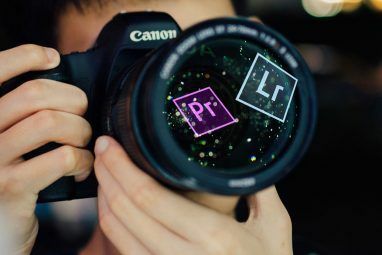 You can get plugins that let you upload to many popular sites — like Facebook, 500px 21 Great Photographers You Need to Follow on 500px 21 Great Photographers You Need to Follow on 500px Read More , and Instagram — straight from Lightroom. If you have a home printer capable of printing good photos, you can do that directly from Lightroom. In the Print module you can manage everything from paper choices, color profiles, and margins. Finally, Lightroom has some other built-in export options. You can use it to design a photo book, slideshow or web gallery. If there’s a way you want to share an image, you can basically do it from Lightroom. By now you should have a better grasp at where Lightroom fits into the grand scheme of things. You should also have realized that it is the most important app that photographers can use. Yes, there are a few alternatives 15 Free Alternatives to Adobe Lightroom, Illustrator, and Photoshop 15 Free Alternatives to Adobe Lightroom, Illustrator, and Photoshop Would you like to get Adobe Photoshop, Lightroom, or Illustrator for free? Here are some of the best Creative Cloud alternatives. Read More out there, but none are as universally supported, fully featured, or rapidly updated. Do you use Lightroom? If not, why not? Let us know in the comments.